The creator of the popular GauRider App, Litha Soyizwapi has plans to revolutionise the way we catch a taxi. 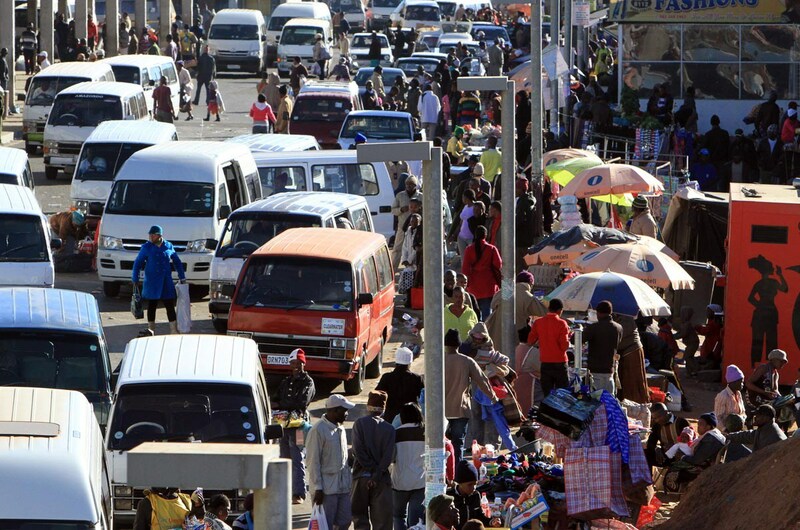 While they’re the most common form of public transport in South Africa, navigating the minibus taxi system as a novice can be intimidating. The vehicles depart in seemingly random, unscheduled patterns, the routes are fragmented and can unexpectedly change, and the skilled but reckless drivers use multiple hand signals and often take unpredictable detours. When Litha Soyizwapi arrived in Johannesburg a number of years ago, he found himself struggling to come to grips with this complex, convoluted system. A Johannesburg-based graphic designer and self-taught iOS developer, Soyizwapi is also the creative director and founder of the GauRider App – a mobile application that allows users to access quick, real time information about the next Gautrain or bus time. When he moved from Port Elizabeth to Jozi, he needed to use the taxis to get to his place of work and quickly learned how daunting it could be. It was Soyizwapi’s innate curiosity that drove him to explore how best to address these problems through design and technology. Having taught himself to code years earlier, he set about developing the plans for an app that would eliminate much of the uncertainty and guess work involved with ones introduction to the minibus taxi system. Intuitively guiding users along their trip, the app would involve first selecting an appropriate taxi rank, as well as the preferred destination. Based on the selection, the app will provide the correct hand signal necessary for it to stop, the precise fare it will incur, and a route timeline that displays a list of landmarks and popular stops. As of now, the app remains a work in progress, as Soyizwapi is working on imbuing it with a level of machine-learning. Because there are so many variables within the randomness of the minibus taxi system and its schedule, enabling the app to "learn" data that it has not been explicitly programmed with would make sure the information it provided was always accurate and up to date and would prevent users from losing their way. To learn more about Soyizwapi’s work, you can follow him on Twitter. What's wrong with period tracking apps?